We all want to help with the health of our employees, cycling is a fantastic way to do this although substandard bicycles, the need for bicycle storage sheds & maintenance are all barriers that we understand & want to avoid as an employer. The Brompton bicycle has been a World leader since the early 1970’s throughout Europe, Ireland as a nation has not had a real opportunity to see how incredible these bikes really are. Our Brompton business class bike hire is an ideal way to tackle many of the problems associated with a private bicycle hire program. 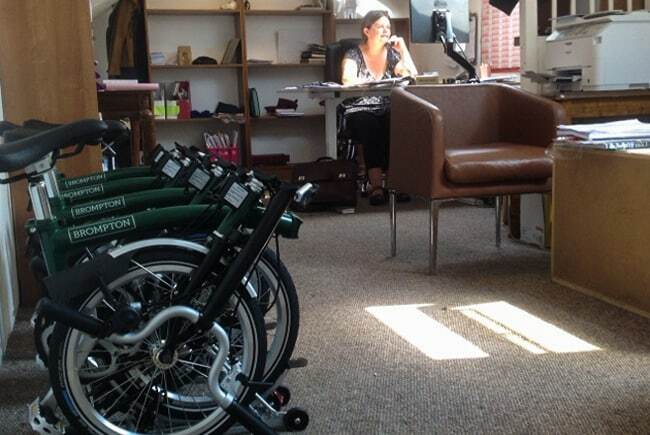 A fleet hire can be from two Bromptons to any number, we look after all the servicing to your door & hire periods can be from one month to one year. Your bike will be replaced at your door within 24hrs if you experience servicing needs, our unique drop off/pick up agreement means your fleet will always be World class. Your employees can experience the World class cycling a Brompton bicycle offers, you may find that once the experience of a quality folding bike is achieved, employees will look to maybe own a bicycle like this for themselves. No parking costs, they can take it into meetings, on trains, save on taxi costs etc. 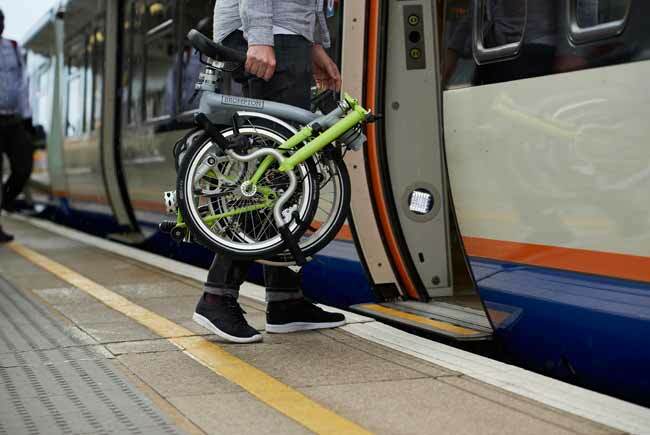 We are fully Irish Rail supported & Brompton bicycles will like all over Europe become a common site across Ireland in the not too distant future, will your company make the move.